It's great to be a kid in Orange County! Here you will find a list of activities and things to do for kids, as well as shopping, services, classes, camps and programs for children. 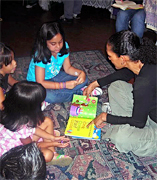 Storymakery is a unique place for children and families to have fun while making both memories and stories that last a life time. 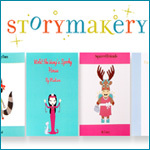 During an average 30 minute to one-hour visit, children will be able to use Storymakery’s kid-friendly technology to design and publish their very own storybook. Mix in some activity, a handful of imagination, and a pinch of social interaction, and what you get is a ton of fun for kids. Kids activities at Renaissance ClubSport are designed to exercise a child's body and mind to help them establish a strong foundation for a healthy life. Renaissance ClubSport also encourages kids to move and have fun on the courts, in the gym, and in the pool. Fitness classes, programs, and recreational and competitive sports leagues are available for kids of all ages and skill levels to help them develop healthy habits and learn important skills like communication, teamwork, and good sportsmanship. Join us every Sunday for our free kid's fishing clinic! Dana Wharf is proud to offer a dockside experience for young anglers! Ask the experts and learn new fishing techniques, new hook tying secrets, win raffle prizes and so much more! No reservations are needed! Try out your new techniques on the 1/2 day trip departing immediately after the clinic where kids fish free AND their rental gear is included! Join us every Sunday (right after our Free Kid's Fishing Clinic) for our 12:45pm 1/2 Day Fishing Trip and kids fish free! One child will get a free 1/2 Day Fishing Trip (a savings of $25) per paying adult! Turn a normal old weekday into a celebration by coming to one of our Open Bounce events with the coolest, most funormous inflatables around. When not hosting birthday parties, BounceU holds events throughout the week where kids can come bounce off the walls and burn off all that pent-up energy! Check out their Calendar to see all the fun ways they'll be turning up the huge inflatable fun at BounceU. We come to you for your child's Dress Up Tea Party! Little girls love to dress up, make believe and have tea parties. Let Traveling Tea come to your location and set up for the dress up tea party of your child's dreams! 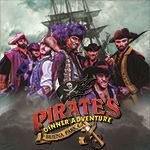 We have different tea party themes to choose from - spa, mad hatter, princess, fairy, diva plus paint parties. Or let us accommodate special request. We will bring all the supplies for dressing up and the tea party, excluding food, tables, and chairs. We will also decorate your table with all the magical supplies to have a spectacular tea party. 2 1/2 hour whale watching cruises are a great activity for children of all ages. 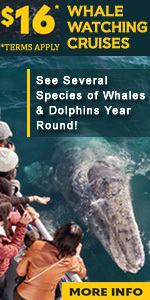 Viewing giant blue whales, grey whales, huge pods of dolphin, sea lions, and much more. 96% viewing success rate means almost every trip will have lots of neat viewing opportunities. This experience will be long remembered. For reservations with Newport Landing call 949-675-0551. Bring your whole family aboard the acclaimed wildlife adventure hailed by CBS Los Angeles as offering "...the best whale watching in the world..."! Our fun and educational whale watching adventure is the highest rated in Orange County and perfect for kids of all ages. In the eyes of a dolphin nothing is more precious than her calf, and only aboard our high-tech catamaran sailboat Manute’a can you BE one of the pod and feel what it’s like to swim with dolphins underwater, without getting wet! The tradition and elegance of Madame Alexander dolls continues after 80 years with a full line of collectible dolls, baby dolls and play dolls. The Alexander Doll Company is the only major manufacturer of handcrafted dolls in America. We are a family owned photography studio. Capturing the beauty of life is our goal. 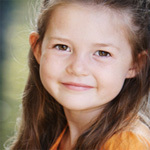 We work closely with you and your child to capture their unique personality in a style that exceeds your expectations. As parents of young children ourselves, we know how to create a comfortable and relaxed environment for your child. We offer location, studio and thematic settings as well as custom creations that showcase your images in a truly unique way. Moments in a child's life will never happen again and deserve to be documented magnificently. Please contact Kathryn at 949-525-7968 to discuss how she can customize her services to meet your needs. Let Kathryn capture those special moments! First time clients will receive as a gift of one 5x7 mounted portrait with bevel edges from their session..
PlanetBravo is celebrating 17 summers of innovative summer programming for children ages 7-14. Discover courses in battle royale 3D game creation, drone programming, coding, animation, and much more. 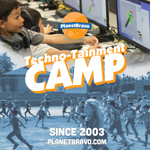 PlanetBravo prides itself of balancing indoor and outdoor play, making the summer camp experience well-rounded, all while learning the world's most important skills. The day flies by (8:30-4:30) with a mix of activities at a great price compared to national tech camps. Chimmy 5in1 Languages Center for children offers French, Spanish and Mandarin languages to infant/children. Their classes provide an easy, stimulating and interacting way for children to learn a new language with native speakers with the use of storytelling, art, games, music and song. Chimmy 5in1 also uses history to learn about culture and customs and geography to learn about the location. One of Southern California's finest museums and Orange County's largest, the Bowers Museum home to Bowers Kidseum, an 11,000 square foot children's museum, provides arts and cultural activities for thousands of children and their families. Creativity, stimulated by exposure to art, can be the basis for the development of ideas, problem solving and social understanding. A hands-on environment that opens the world to even the youngest child, this museum offers touch tables, a science station, changing exhibits and much more. Imaginations run wild with over 120 hands-on exhibits at Discovery Cube, Orange County's leading destination for hands-on science entertainment. Take the Eco Challenge and become a green superhero, feel the power of a real rocket engine launch and explore the inner workings of a two-story tall dinosaur! Plus, with seasonal traveling exhibits and signature events throughout the year, there's always something new to experience. The 1898 Kellogg House is the focal point of the Heritage Museum. Inside you will find unique architectural features, antique furnishings, historic photos and maps, and hands-on activities for children. The tour is primarily self-guided, but a docent is always available during public hours to answer questions and provide additional insights into the house, the Kellogg family, and life in historic Orange County. On the same grounds, visitors can find nature trails, a working blacksmith shop and the Maag House, ranch house of citrus and nut grower John Anton Maag and his family. A non-profit, volunteer organization and education center. They rescue, rehabilitate, and release sick and injured seals and sea lions. Programs include a guided tour of the animal care facility and exhibit room, a slide presentation and observation of the animals. 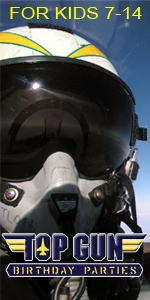 The also offer a range of educational programs for groups of all ages. This interconnected city allows children to "pretend" to be the adults. Children can experience a variety of features every city has to offer. With over 15,000 sq. feet of interactive exhibits and activities, Pretend City brings to life every profession, necessity and daily occurrences of a real city. They can do anything and everything from grocery shopping to banking to visiting the doctor to collecting their pay from the local ATM as well as visit the fire station, police station, the café and all of the many other exhibits. The Boy Scouts of America is the nation's foremost youth program of character development and values-based leadership training. In the future Scouting will continue to offer young people responsible fun and adventure; instill in young people lifetime values and develop in them ethical character as expressed in the Scout Oath and Law. Through a wide range of enriching experiences-field trips, cultural exchanges, community service, leadership opportunities, skill-building workshops, outdoor education-girls grow courageous and strong. Girl Scout program is progressive and age-appropriate, with the girls' roles and responsibilities expanding as they move through the different levels. Girl Scouting helps cultivate values, social conscience and self-esteem in young girls, while also teaching them critical life skills that will enable them to succeed as adults. Missionettes is a ministry tool to help fulfill the Titus 2 principle of women mentoring young girls. Girls can begin in Missionettes at 3 years of age and continue through high school. Little girls love to dress up, make believe and have tea parties. Let Traveling Tea come to your location and set up for the dress up tea party of your child's dreams! In addition to a princess, fairy, mad hatter, diva or spa theme and paint parties, we can also accommodate the boys in your group with capes, prince mugs, tattoos and more for them. We will also decorate your table with all the magical supplies to have a spectacular tea party. Summer special - mention oc.net for a 10% off discount! Click Here for more party information for kids. Information for children in Orange County Children. Activities, education, fun things to do, children's photography, birthday parties and information on shopping and programs for kids.